This level has medium difficulty. For this level try to play from top part of the table where more candies are available to play and make special candy. 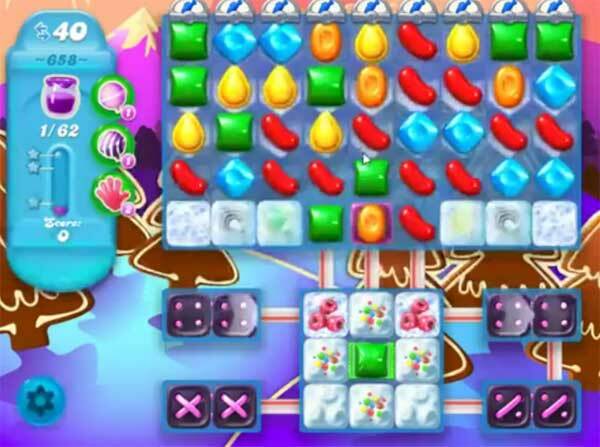 Combine special candies with each other to spread more jam and break the blockers. Or play near to jam to spread it to near candies. This level is ridiculous I am only going to win this if its time to, there are not enough moves to clear all the layers below even with boosters and if I get near winning my boosters explode for no reason before I can use them.